ITM developed the White Tiger brand of formulas in 1993 for use in its clinical facilities and for prescription by practitioners who follow similar treatment protocols. The formulas rely on Western concepts of using dietary supplements and herbs, but were designed to be utilized within a Chinese medical health care approach. The name White Tiger was chosen because, in the Chinese system of classification, the white tiger is the representative of the West. The tiger is also representative of the potential stored within. A characteristic of the tiger is its stealth (remaining hidden), and the silent crouch that it holds (for as long as necessary) before striking vigorously. The formulations produced under the White Tiger label represent a Western approach to natural health care that store a huge amount of potential in a deceptively small space (compared to the volume of crude preparations). 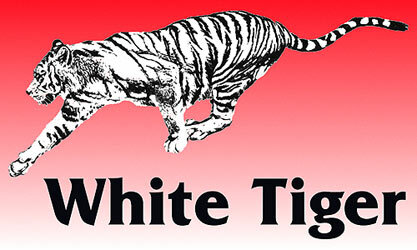 White Tiger formulations may incorporate vitamins, minerals, amino acids, enzymes, hormones, and other substances that have been determined to have a positive health benefit, as well as utilizing Chinese herbs and some Western herbs. They are made as large, yet easy to swallow, oval tablets of about 1 gram each, usually taken only 1 or 2 tablets at a time. Most of the ingredients are highly concentrated. Berberine Plus supports normal blood functions in the body. Bromelgin was designed to provide a high dose of bromelain, an enzyme that is mainly used for the treatment of injuries, disk problems, tendon inflammation (also, see its application for sinus inflammation in Mentholian). This is a broad-spectrum nutritional supplement with virtually all the vitamins and minerals that have been identified as both necessary nutrients and items of therapeutic benefit in treatment of several disorders. Digestive enzyme mixtures have become a commonly used means of addressing deteriorated digestive power that is associated with reduced secretion of digestive substances from the stomach, pancreas, and gallbladder. epimedium (yinyanghuo) as an anti-hypertensive - Click above to read more! The main alkaloids of sophora (ku shen), namely oxymatrine and matrine, have been used in China as an herbal drug for more than 25 years. In modern practice of herbal medicine, prostate disorders (mainly benign prostatic hypertrophy, BPH) are often treated with one or more of the herbs seranoa (saw palmetti), pygeum, and pumpkin seed. The effectiveness of these herbs is demonstrated by several clinical studies.